Directly across the street from the community is Puerto San Luis Lodge and Yacht Club with hotel, restaurant, and bar with a beach front park and marina with floating dock, moorages, and dry boat storage. 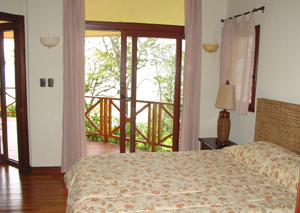 Rentals include stand-up paddle boards, kayaks, water skis and wakeboards, sailboat tours and fishing trips. 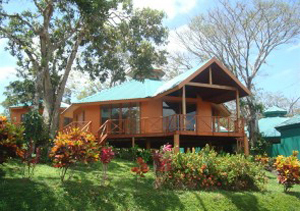 The community is a minutes from the village of San Luis (restaurants and mini marts), and 4 miles from Tilaran (population about 12,000), Costa Rica's nicest town, where there are supermarkets, banks, doctors and dentists, a clinic, pharmacies, hardware stores, mechanics, municipal offices, and more. 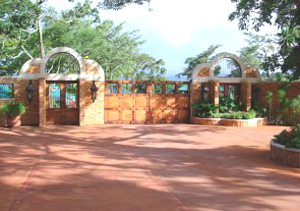 The gated community has a guard office and 24-hour security. 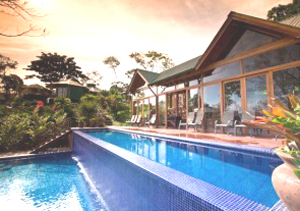 The expansive club house has a special-events kitchen and two pools. 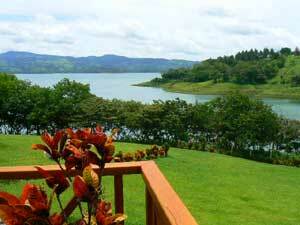 The 18-home community is at the entrance to lovely San Luis Cove from the nearly 20-mile-long lake. 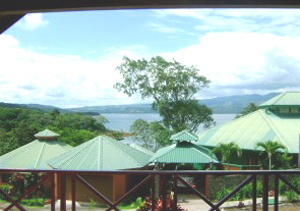 The community and neighboring small resort are between the villages of San Luis and Tronadora on the less rainy side of Lake Arenal. This partial view of the main house also shows the guest cottage behind it. 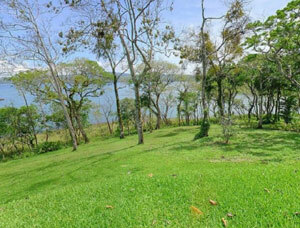 This view from the home shows a long stretch of the northern end of Lake Arenal. 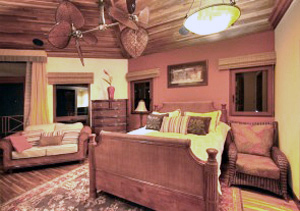 Here are examples of the living rooms and bedrooms of the homes in the community. 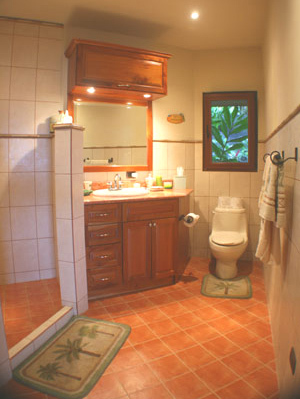 The bathrooms are creatively and lavishly fitted to the octagonal design. 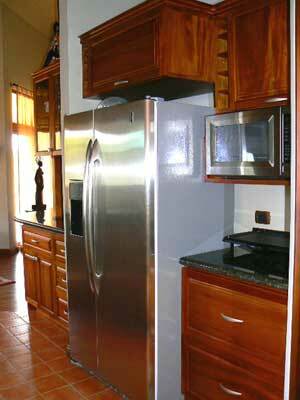 Kitchens in the homes are outfitted with top-of-the-line appliances and fine materials. 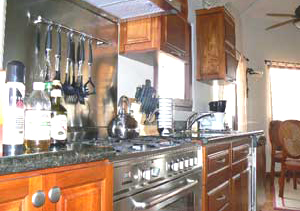 This kitchen has an Italian gas range. 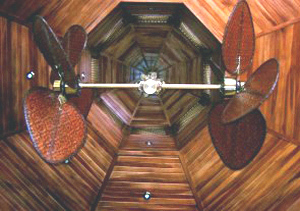 The cathedral ceiling and Caribbean fan.